Have you heard of a temple which is open to people of all communities? 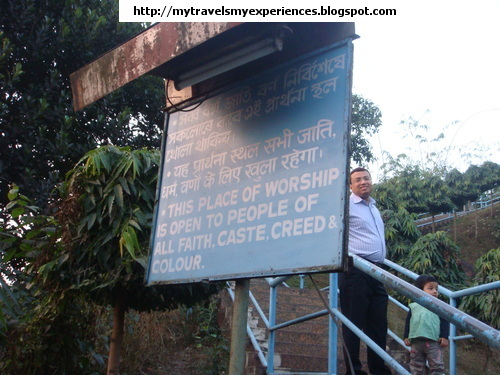 Where people irrespective of their class, creed and religion can go and pray. Yes, there is such a temple in ASSAM. 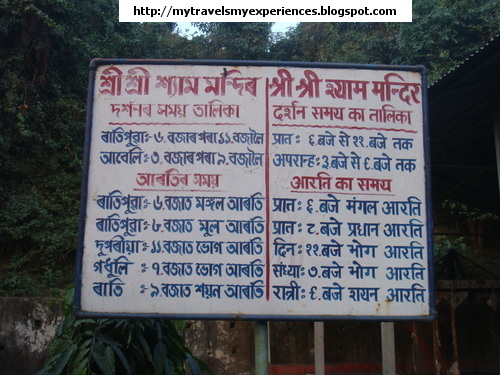 It is Shyam Mandir, basically a temple of Lord Krishna( VISHNU), situated in a small hillock in Narengi area of Guwahati. The temple is a part of Indian Carbon Office Complex at Narengi. The owner of Indian Carbon, Late Prabhudayal Himatsingka built it. You will find his statue in the middle of the mandir premises. Lot of devotees throngs the temple and its main attraction is the evening aarti. 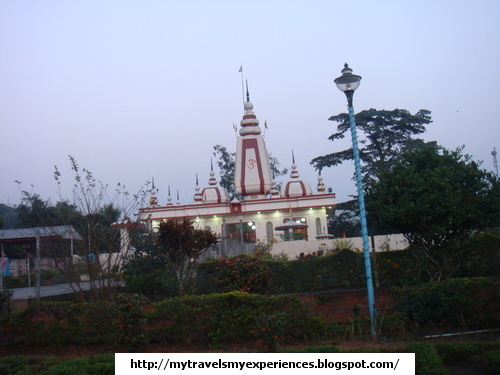 Visitors are charmed and captivated by the well maintain garden of the complex; and a statue of Hanuman, Nandi and a Shiv Linga in the mandir complex. As you enter the temple, you will see a beautiful idol of Lord Krishna(which is the main idol), to his right is Shri Krishna –Radha’s statue and to the left is the staute of Ram/Laxman /Sita. 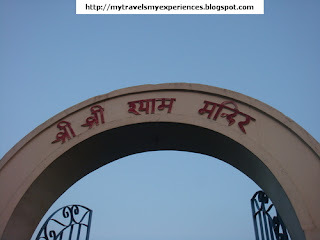 The temple is built in such an area that it gives tranquility and peace of mind to every visitor. But one should be aware that the road to the mandir is not approachable to people who travel by public transport-bus, auto, tracker. It is a long walk across the bridge. Only if you travel by your private car, the journey will be smooth; otherwise be prepared to walk few miles. Some construction of the road was going on when we last visited it. Hope it is over by now and people don’t have to walk long distance to reach the temple.